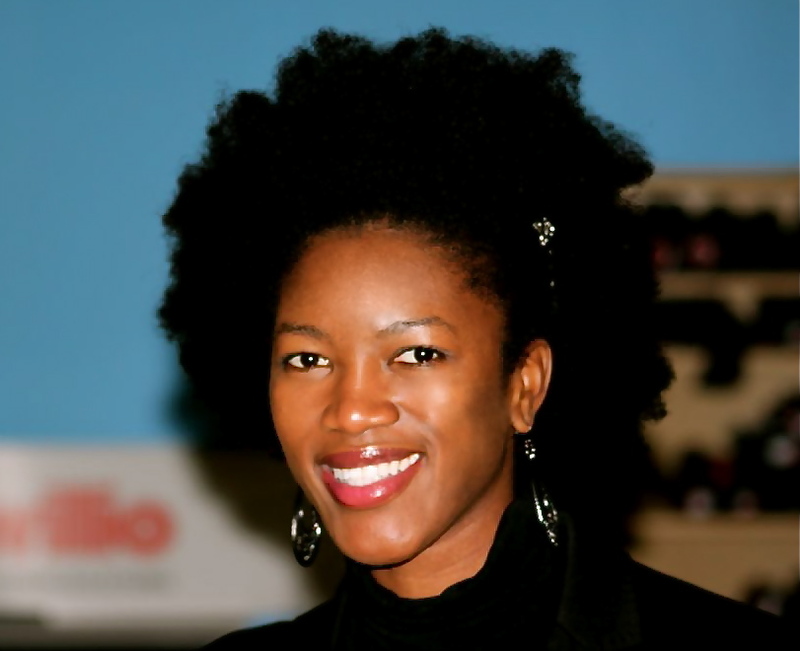 Women of Color in Tech: How Can We Encourage Them? Over the last five years, I have taught more than 300 really smart students. One of the smartest, at the Masters of Engineering Management program at Duke University, was Viva Leigh Miller, a black woman. She had the ambition of moving to Silicon Valley after she graduated last year. I expected she would become a hotshot CEO. But Viva couldn’t get a job in the Valley—despite introductions that I gave her to leading venture capitalists. I have never understood why. During my tech days, I would have hired Viva in a heartbeat. She had the determination, drive, and education that all tech companies look for. It raised a red flag in my mind. You can’t take one anecdote and extrapolate from that. It could just be that Viva didn’t connect with the right companies at the right time. But the harsh reality is that there is a dearth of women in tech. Just look around Silicon Valley—you don’t see many blacks there, or Hispanics either. Until recently, I didn’t know of even one black woman CEO (though I had heard a rumor that one or two existed). Yes, I know that few women and members of ethnic minorities study engineering; that some women can’t deal with the stress and just want to raise children; and that this is not Mike Arrington’s fault. It is noteworthy that blacks and Hispanics constitute only 1.5% and 4.7% respectively of the Valley’s tech population—well below national tech-population averages of 7.1% and 5.3%. At an event I attended this week, called Alley to the Valley, at the overpriced Rosewood Sand Hill Hotel in Menlo Park, I discussed this subject with 50 very successful women. Half of the attendees were from the east coast, and half were from the west coast. We agreed that the best way of supplying this dearth is through recognizing that there is indeed a problem; providing mentoring, encouragement, and assistance to all aspiring women entrepreneurs; and showcasing the successes. I have already presented hard data that show that there is a problem, and I’ve suggested remedies. Now I’ll showcase some successes—black women CEOs that graduated from Founder Labs, a pre-incubator for emerging entrepreneurs and from a related organization, Women 2.0. I’ll let them tell you their own stories. Raissa B. Nebie is the CEO of Spoondate, which allows food enthusiasts to meet and connect over a meal (this is currently in private alpha, part of the 500startups incubator and will demo publicly on 4/6). Raissa was born in Paris, where her father was pursuing a PhD in linguistics. Her family later moved to the Ivory Coast, where she lived most of her life. Her parents have since returned to their home country of Burkina Faso, where her father is a university professor, and her mother, the mayor of her home town. Raissa studied finance in college and started her career at Wall Street at firms including JP Morgan, Lehman Brothers, and ICV Capital. Raissa’s parents valued academic excellence and wanted her to pursue a traditional career, not entrepreneurship. Her role models were her mother, who dedicated her life to community service, and her grandfather, who was the first black doctor of pre-independence Burkina Faso. Raissa says she gets her drive and tenacity from her mother, whose determined recovery from an illness of more than 10 years’ duration was an inspiration. Raissa was comfortable working in investment banking, but itched to become an entrepreneur and pursue her passion for food. So she quit her job, attended culinary school, and was training at a high-end restaurant in Paris when she decided take her passion for food to the web. She then packed her suitcase and bought a one-way ticket to San Francisco. While networking her way around the Valley, she heard about Founder Labs and applied to the program in hopes of learning the fundamentals of tech entrepreneurship. Founder Labs helped her validate her idea, find a co-founder, and ultimately secure angel funding. She says that entrepreneurship has been a great experience. She learned that there is always something to learn. While her co-founder is writing code, she’s out talking to potential users and learning ways to make her products better. Identify a problem you want to solve, and talk to potential customers. Be creative, and find ways to validate your idea without building any complex technology. (Before writing any code for Spoondate, she operated a dating concierge that manually matched like-minded eaters and sent them out on food dates. Get out of your house and become a part of the startup scene. Go to events. Be seen. Attend your local Startup Weekend, hackathons, pitch contests, etc. These are fun learning experiences and also great ways to meet potential co-founders. Take advantage of these events to build your network. Watch, listen, learn, and understand that anyone who takes the time to give you constructive criticism on your idea is not the enemy, but rather is doing you a favor. “Be humble. Be polite. Be charming.” It doesn’t matter what gender or race you are, people like to be around nice, pleasant people. Do it! But do it with passion and commitment. Kimberly Dillion is the founder of House of Mikko, a beauty social commerce site that recommends beauty products based on the ratings and reviews of like-typed women. The site was launched last month and is gaining momentum. Kimberly was born in California and raised in Colorado, where she has been a competitive figure skater for most of her life. Her father was a prison warden; her mother, an artist. Kimberly received a scholarship to the University of Pittsburgh because of her skating skills, and completed a degree in marketing and in anthropology before attending business school in Michigan. Her mother was the most profound influence on her, and taught her to express herself freely and use her talents. When Kimberly was three, she saw a show on TV and decided to become a figure skater. Skating is an expensive sport, and her mother could only afford an hour or so of practice time weekly. So she skated her routines on a tennis court at night, on special roller blades that were fashioned onto to skating boots. She says that falling on concrete is a lot worse than falling on ice, so it actually made her a better skater. She learned that there wasn’t anything she couldn’t do. Kimberly says she became an entrepreneur because she found a problem she wanted to solve that no one else was solving. Founder Labs taught her about the tech scene in the Bay area, and she made valuable contacts. She says that she is glad there were also men in the program; that it is much better that way than being all black or all female. Arielle grew up in Vallejo, CA. Her mother was a single parent and worked as a customer-service representative while she raised two children. Arielle says that it was a little difficult growing up, because she and her brother had to spend a portion of their time in foster care. She gained a scholarship to study Information Technology & Media at UC-Berkeley and was determined to make the most of it. She says her mother was her role model because she is very passionate and independent. Arielle learned early how to make something out of nothing. She learned how to start at the bottom and solve problems through technology. She realized that entrepreneurs could impact affect of people—and that is what motived her to become one. Arielle was a volunteer with the organization, Women 2.0 which helped herArielle build a network and connect to role models, investors, customers, and partners. It was through the Women 2.0 network that Arielle met her co-founders, and really felt empowered and supported to be an entrepreneur, even while still in college. Solve your problems. If there’s a problem that drives you crazy, there are most likely thousands of other people out there who feel the same way. Build a company upon solving the problems you face every day. Never quit the problem, but don’t worry about quitting the product. Some entrepreneurs are afraid of pivoting if something isn’t working. It becomes more about protecting their own egos and being portrayed as quitters, than about solving the problem. Focus on the problem you’re solving and everything will fall into place. Being an entrepreneur has helped Arielle build self-confidence and meet amazing people who share her determination to change the world. All three of these women defied the odds and became entrepreneurs. With a bit of luck, they will achieve big success and help others behind them. It doesn’t take much to fix an entrepreneurial imbalance. We just need to recognize the reality and provide a little bit of mentorship and a lot of encouragement. Editor’s note: Vivek Wadhwa is an entrepreneur turned academic. He is a Visiting Scholar at UC-Berkeley, Senior Research Associate at Harvard Law School, Director of Research at the Center for Entrepreneurship and Research Commercialization at Duke University, and Distinguished Visiting Scholar at The Halle Institute for Global Learning at Emory University. You can follow him on Twitter at @wadhwa and find his research at www.wadhwa.com.